This is a part of my series exploring fermentation at the cooking school. To start from the beginning or see a list of previous posts, click here. As we come to know the general processes at work while fermenting, it might be worthwhile to explore why fermented foods are so immensely satisfying. Asked another way: why the hell do rotten foods taste so good to us? Our evolutionary history provides an entry point. Taste, as a function of the human body and our survival, has been developed over millennia to favor those foods which are most nutritious, will give us the most energy, and won’t actively kill us. Energy rich fruits imbued us with our craving for sweet, our mouth waters at the smell of (more easily digestible) roasted meats, and a centuries long avoidance of potentially poisonous flora has left us with an inherited aversion to bitter (one which our newfound love of Negronis threatens to reverse in our decidedly less threatening world). Perhaps though, this scientific approach undermines the true beauty and appeal of fermentation? Before we understood the function of amino acids or identified a glucose strand beneath a microscope, these foods provided connection. Connection to the past: ritual recreation of millennia of preservation practices, those that helped your ancestors to survive and for which you owe your existence today; or, the more immediate past, the sour of a pickled beet or dilly bean reminding you of your grandparent’s musty cellar and of spring picnics when 55º still feels warm; even more immediately, as a reminder of last summer’s bounty and herald of what’s to come. This connection to history and family which fermented foods provide is encapsulated in the Korean notion of Hand-Taste, a much more intimate and poetic understanding of fermentation than the current gloved-hand and plastic-container restaurant trends seem capable of (though one with which sourdough bakers might identify). 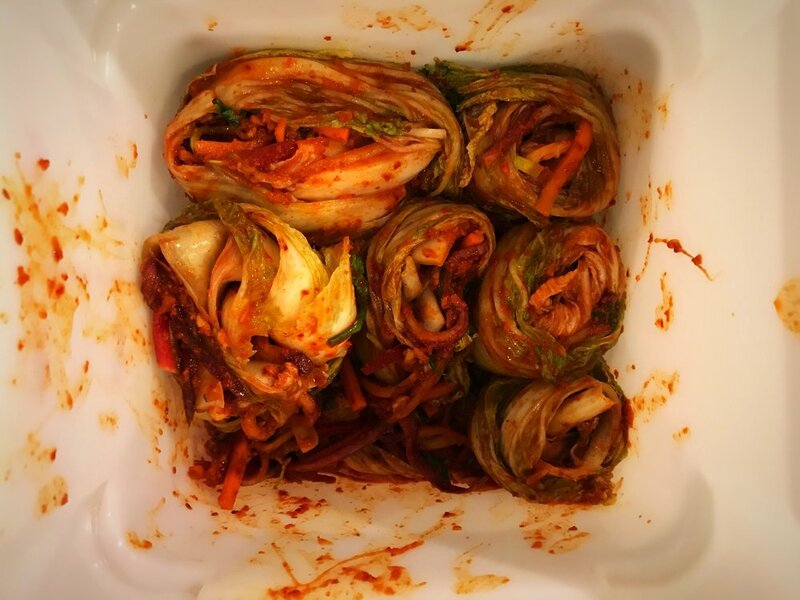 Hand-taste, used to describe the elusively addictive nature of kimchi, refers to the specific flavors that each cook imparts on their particular batches of the condiment. The pickled napa tastes of spice, shrimp, and grandma. Weird and wonderful, personal yet mysterious. Fermentation as it should be.